A country powered by clean, solar energy, united by a network of resilient local communities. Solar United Neighbors was on the cusp of a breakthrough. 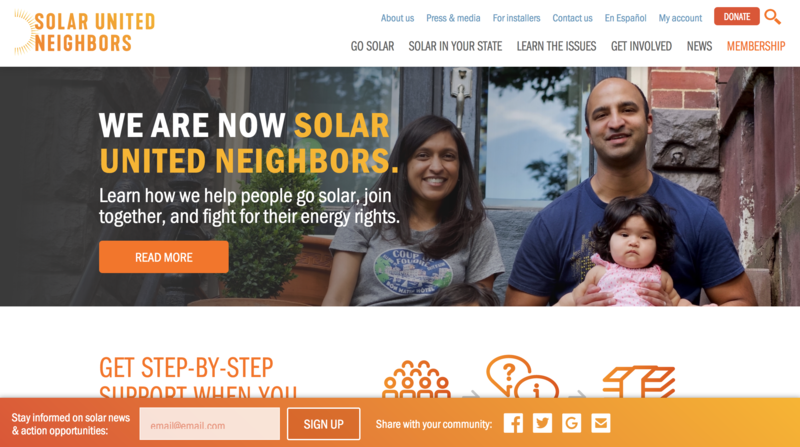 Laying the groundwork for their brand and their theory of change, they were ready to activate citizens on a state-by-state basis, supporting our transition to a solar powered economy. They needed identity design and a new website to get there. 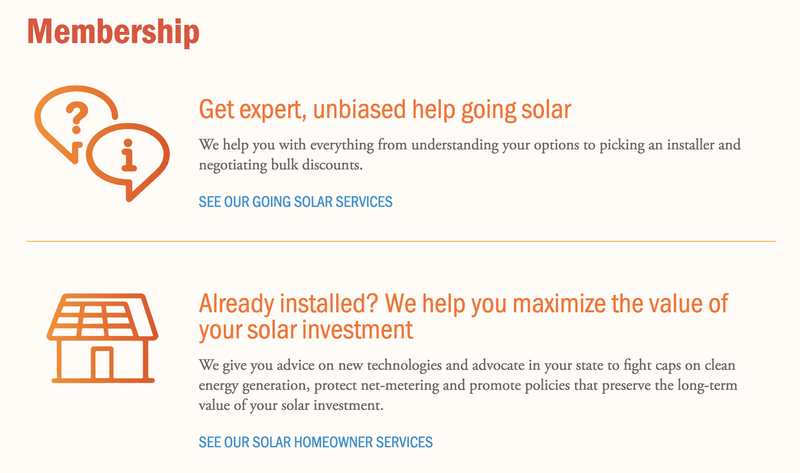 A new web site and content strategy with 14 times the page views, double the time spent on site, and a 15% overall decrease in bounce rate, resulting in increased paid membership and overall list-building for Solar United Neighbors. With a collaborative and light-touch brand strategy, a narrative-driven strategic brief and content strategy, we laid the groundwork for a clear audience ladder of engagement across both the national and state-based websites. Our identity work, combined with a clear story, technical support and expertise across best CRM and CMS practices has resulted in an evolving web site that is converting users and engaging brand new audiences.